Are you a sucker for Christmas lights? Well move over New York and Salzburg and say hello to Palma! 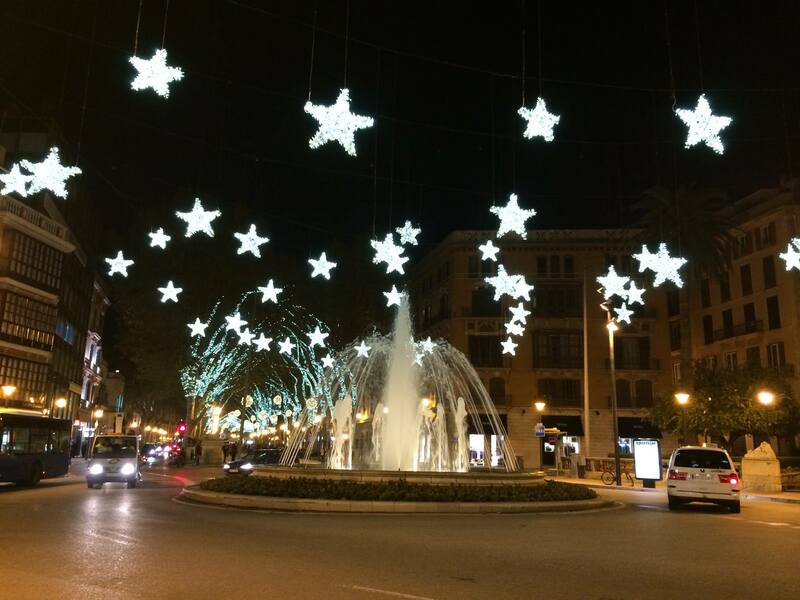 Palma and the surrounding area has all the Christmas razzmatazz you will need. 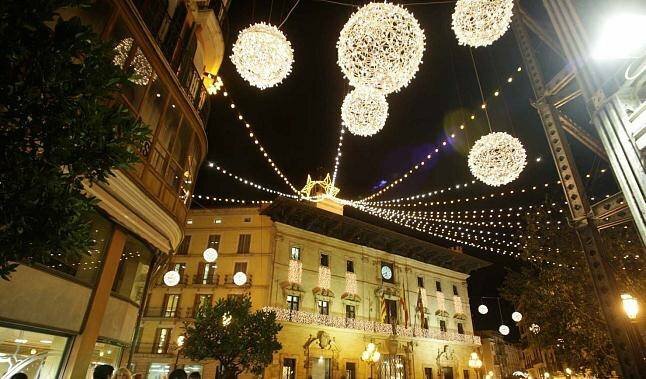 The Christmas lights in Palma will be switched on this year on 22 November and they really are quite special and the show goes on until 7 th January. 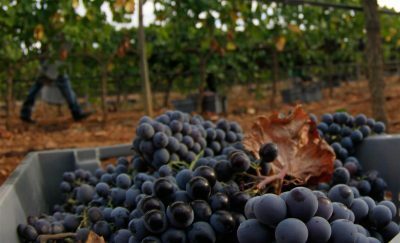 The Mallorcans know how to get in the seasonal mood! Shops are open 7 days a week, most until 20.00hrs or later ( except Sunday when they close a little earlier ) , so plenty of time for Christmas shopping or even a little bit of `me shopping !´. You will also have the opportunity to visit one of the many Christmas markets, which start as early as mid November and go on until early January. One of the largest and most popular is at Portals Nous, as much for the quality of gifts on offer as for its location on this glitzy marina with its millionaire yachts. 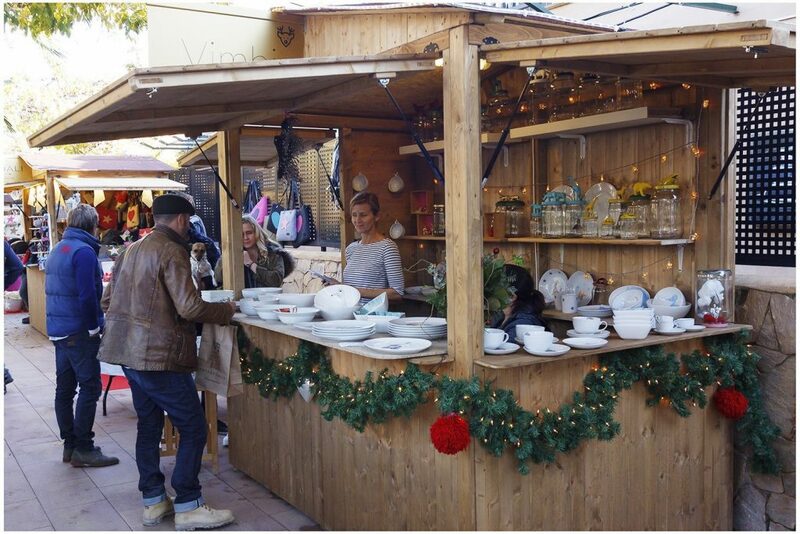 Open daily from 12.00 – 20.00 hrs from mid December to 7th January. 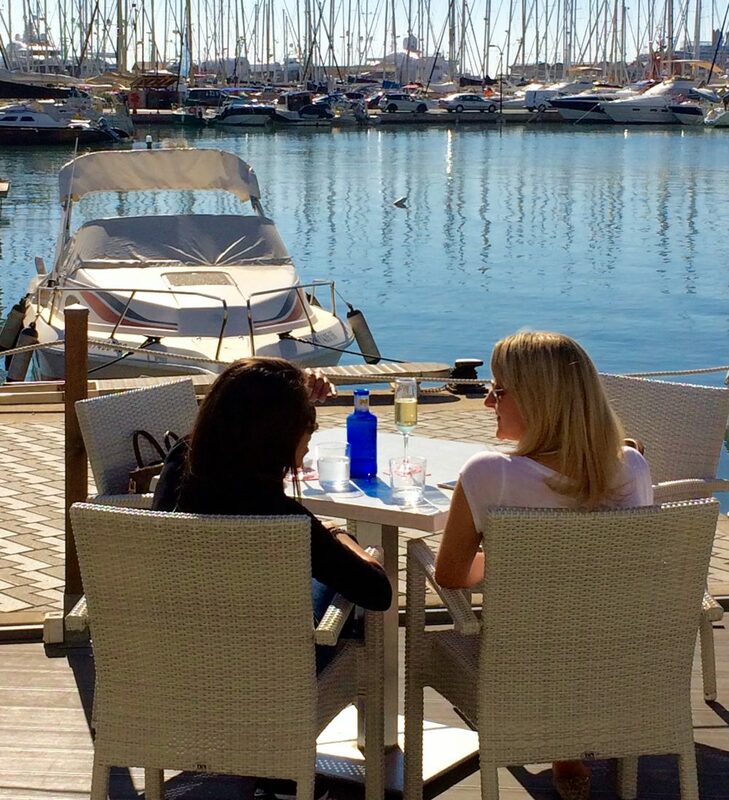 Just 10 km from Palma, easily accessible by bus ride, taxi or car. Mornings and evenings can be cool, but between 11 am and 4 pm, there is no reason why you shouldn’t be strolling around in short sleeves. For Christmas itself – Open or closed ? Open! 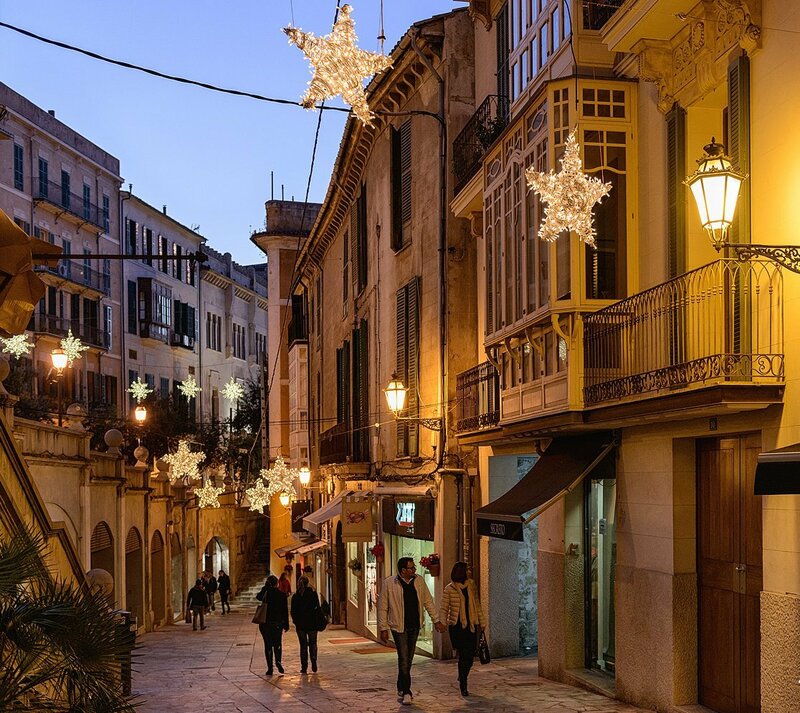 On Christmas morning, you could be strolling along the promenade in Palma, Soller or Pollensa, or just taking it easy and sipping a coffee and watching the world go by with the sun on your face. Restaurants are open, especially those which offer a special Christmas Day menu in the hotels we feature. But you would need to book. Time to book your hotel ? Click here to find out about Luxury for Less . Images kindly provided by Theory 4 , MallorcanTonic.com.